Flory Park is now home to the new and improved 21st Street Bike Park. The City of Newark, the Licking County Family YMCA and Licking County Foundation partnered to enhance the amenities at Flory Park to provide more opportunities for the community to gather with an emphasis on youth recreation. 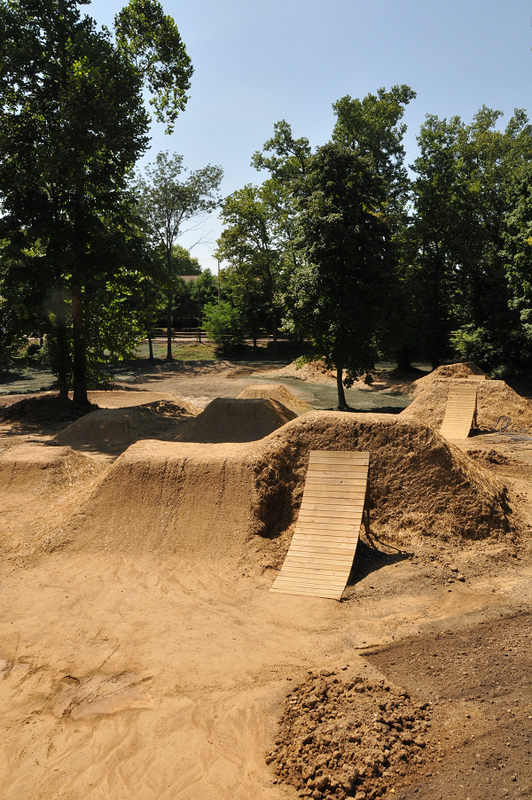 The upgraded 1.2 acre bike park is designed with a series of trails and features of varying size and difficulty to allow novice and experienced riders of all ages to develop skills as they progress through the unique challenges of each of the trails and features a pump track, dirt jumps, a skills course and a mountain bike loop. Flory Park, a 13.6-acre green space along Raccoon Creek at Church and 21st Streets in Newark, was created in the mid-1970s through a gift of property from six members of the Flory family to the Licking County Foundation: John Flory, Elizabeth Flory, Sylvia Jones Flory Sinsabaugh, Katherine Flory, Ann Flory Hendricks and Phoebe Flory. The park was established by the Flory family to provide a public park area for the betterment of the Licking County community. Flory Park has evolved into an easily-accessed, youth-focused neighborhood park in central Newark. In 2001, Flory Park was developed to create an educational and recreational area. The City of Newark and the Licking County YMCA lease the park from the Licking County Foundation at no cost. This valuable alliance ensures ongoing maintenance and relevant youth-focused programs. In 2017, this team provided oversight, expertise, in-kind support and funding to develop a master plan for Flory Park’s improvement. With the expanded bike park complete, installation of a new disc golf course will begin. The Flory Park project’s final phase includes a new dog park. Without the generous gift of property from the Flory family over 40 years ago, Flory Park would never be the vibrant, community space that it is becoming today.